jdog, i cant get the pic to load on that page. any chance you could repost it here please? going to check out your wiki shortly. (03-28-2015, 05:47 PM)frances2112 Wrote: Thanks! I think I have now figured it out. I thought the Bert in my 8 pack was a Classic Bert, but I think it is a neon Bert. I have to go buy #18 of the single figures and then I will have them all. Thanks for noticing the mistake. 8 pack Bert is the Neon one and #18 should be classic. The Japanese series seems different from what we have here. 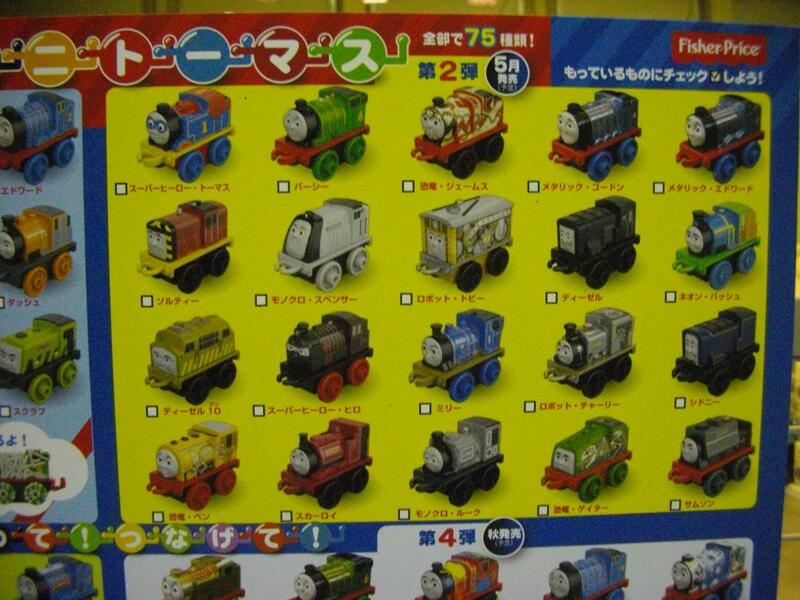 They have trains in Series 2, 3 or 4 but we have then in the first wave already. 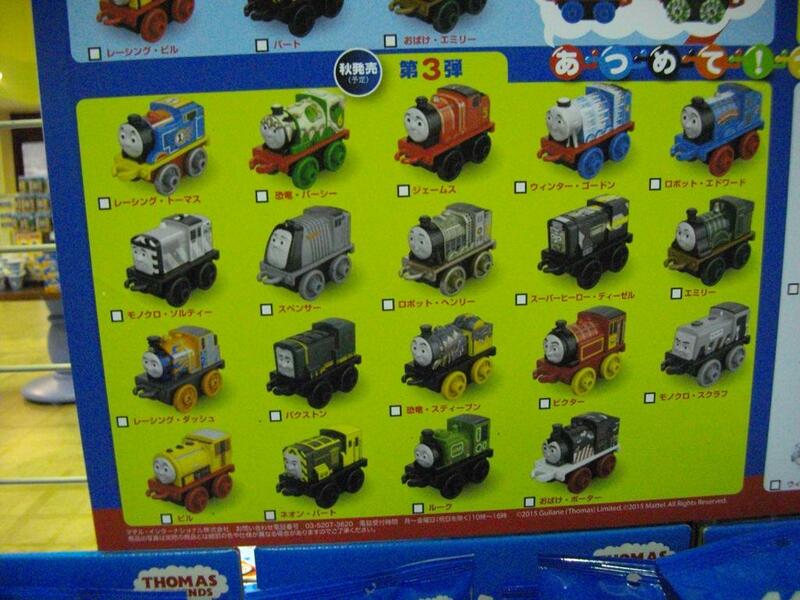 Just missing the Golden Thomas now. No one around here has the storage wheels. I'm totally disappointed with them not including Ferdinand. I mean they've included Sidney who's been in just 2 TV episodes so why not Ferdinand? I have always loved the mini trains. Previously I had to get them from Japan. I am so glad that the couplings have been made apart of the engines instead of separate little plastic pieces. Here are pictures of my collection prior to the new minis. They are perfect for going into eggs for my little boy to hunt on Easter! I live in the middle of nowhere and out Walmarts are full. (03-29-2015, 02:07 AM)frances2112 Wrote: They are perfect for going into eggs for my little boy to hunt on Easter! There are none of the trains in w2,3,and 4 in the first wave. 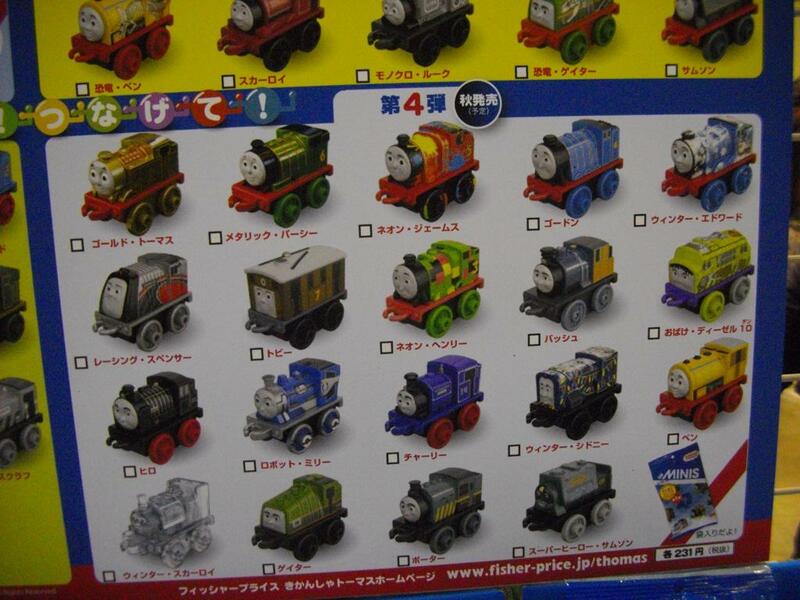 The first wave relates to the 18 blind bag engines on sale in most retailers . The sets in bubble packs are only available through Walmart in the US and possibly the convict state therefore they do not count as the fiirst wave . The second wave is due to hit the UK in April/May . (03-29-2015, 01:20 AM)exile90 Wrote: Thanks for noticing the mistake. 8 pack Bert is the Neon one and #18 should be classic. For boys who think they are too old to Easter egg hunt, I put toys inside balloons and blow them up. Then place them around the yard. My son takes his air soft gun and shoots the balloons and collects the toys. I live in Texas so this idea might not work for everyone. going to be tricky with the new waves since the blister pack engines are going to be in with the rest. will have to wait for a cheat sheet so i dont end up with too many doubles. 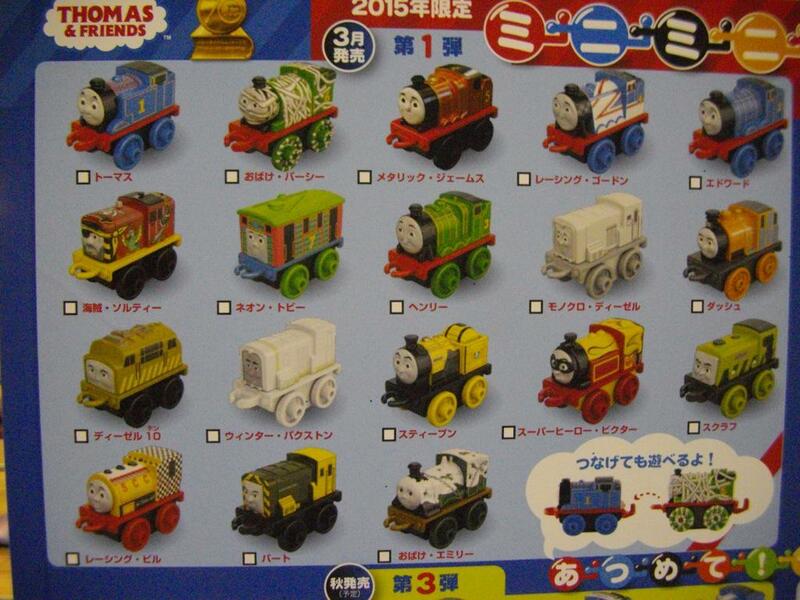 interesting to note each wave pictured has a different number of engines in it. thanks for posting those, jdog. nice to see whats coming up. Yeah well the packaging is really easy to see through. I'm more worried about being able to tell the 2nd wave from the first wave from the packaging. (03-29-2015, 07:04 AM)frances2112 Wrote: Yeah well the packaging is really easy to see through. I'm more worried about being able to tell the 2nd wave from the first wave from the packaging. I guess I was wondering if the new series would also be a 1-18 thing so how would I tell a first release #1 from a second release #1. If they keep going 19, 20, 21 then it wouldn't be any trouble. I reckon we'll be able to work it out easily. Most of the first series bags say G46 or something along the lines of that preceding the individual number, so a code we've never seen before is probably a good indication. I suspect by September all 75 will be released. I have 2 sets of the blister packs and the 2 sets of the blind bags that are not included in the packs! I feel like an addict!